how is yaw counter balanced I wonder? counter rotating props? no this design only has one prop. yaw is controled by the little white fins you see on the curve surface in the video. they'r contorled by a servo inside the bell sheped bottom and trun to deflect air. I have been following Jean-Louis's work with this type of Coanda design for years. He has been a true leader in this field. Hello, there is no counter rotating prop, the yaw counter balanced is by a rim of small rudders placed around the circumference of the saucer. The rim of rudders are fully controlled by a gyro connected in serie with the receiver. Here, some photos taken during outdoor flights. "a steam of air (or a other fluid) emerging from a nozzle tends to follow a nearby curved surface, if the curvature of the surface or angle the surface makes with the stream is not too sharp." I just read about a government(? 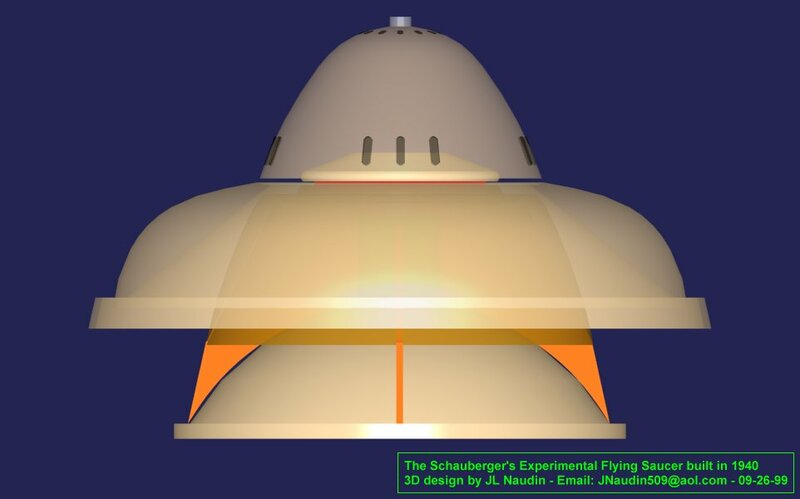 sorry, going from memory) design of a Coanda effect saucer in Popular Science being developed in Great Britan I believe. If memory serves it was something like 20 pounds and propelled by a gasoline engine. - The ElectroDynamic effect : The high speed vortex in the vortex chamber produces an electric charges separation effect, called "the diamagnetic effect " by Schauberger. These two effects combined create the so-called "implosion effect". I really think your coanda effect saucer is the future, do you work with GFS Projects? I observed a flight test quite a few years ago at their workshop but the company seem to have now disappeared. I was told there would be DIY plans of his design published at some point but I never saw any..